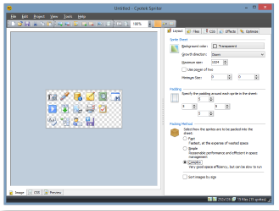 In this first tutorial, we'll cover creating a new project, adding images to it and modifying the layout, then finally saving the project. 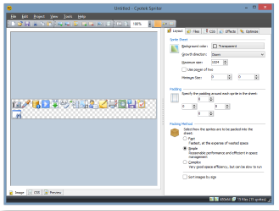 When the file dialog appears, navigate to the samples folder of your Spriter installation (typically C:\Users\<username>\AppData\local\cyotek\ spriter \sample or C:\Documents and Settings\<username>\Application Data\cyotek\ spriter ), and select all images in that folder. Most settings can be left at default values. 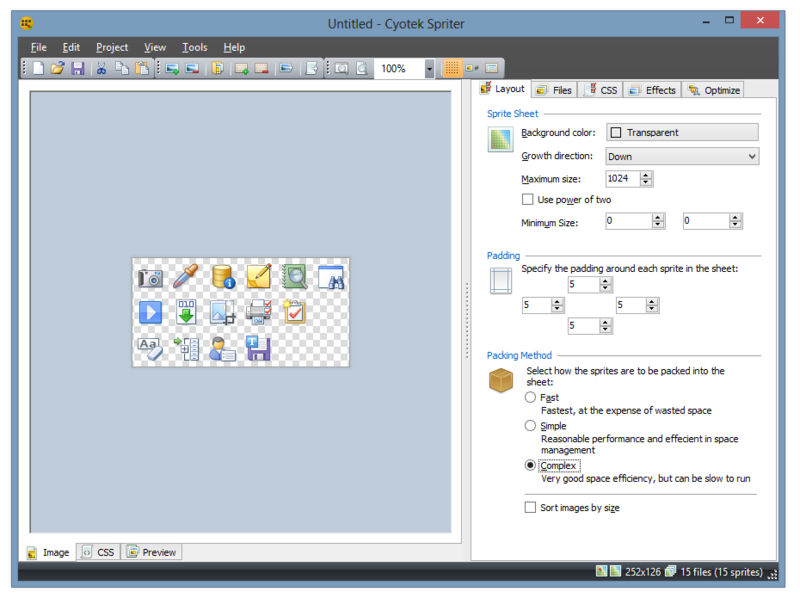 However, if you want to add padding around the sprites, try changing the values in the Padding group. 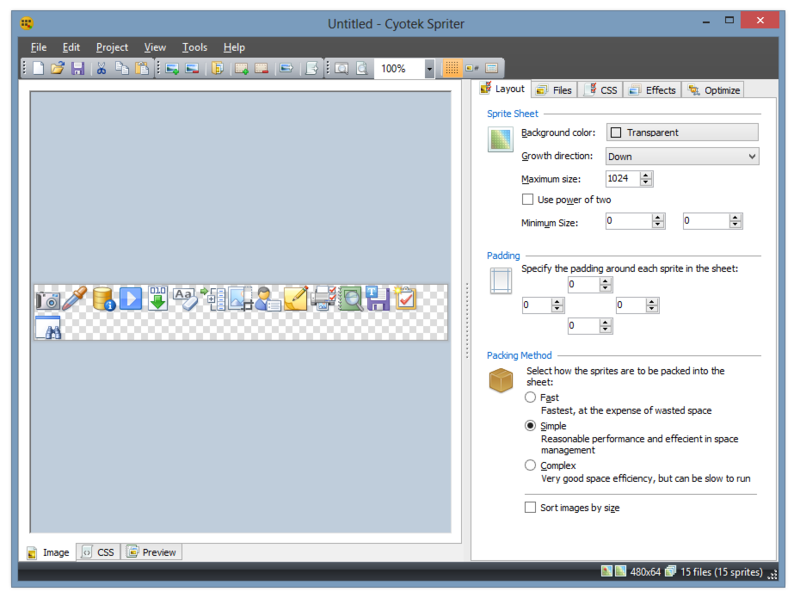 Spriter also allows you to a choose a packing method, which determines how the sprites are laid out in the output sprite sheet. Try changing to Complex to see how the layout changes. Which method you use depends on your project size and how you like the graphics positioned.